The Catholic Church of the Catholic Counter-Reformation era grew more spiritual, more literate and more educated. Orders, including Capuchins, Discalced Carmelites, Discalced Augustinians, Augustinian Recollects, Cistercian Feuillants, Ursulines, Theatines, Barnabites, Congregation of the Oratory, and the Jesuits, especially founded to combat the heresy of Protestantism, blossomed. The Church self-imposed an ecclesiastical/structural discipline, reconfiguration dealing with corrupt and politically appointed clerics, and other financial abuses. Efforts to end “triumphalism, clericalism, and legalism” (Sounds like Vatican II? It might take a few millennia. Watch out for Catholic fascists, they bite! In SO MANY WAYS!!!) that had typified the Church in the previous centuries. Myth: The Reformers were holy men who struggled heroically to free the true Christian faith from the superstitions of Rome. Martin Luther (1480-1546) and John Calvin (1509-1564) are generally regarded as holy and upright men appalled at the impiety, superstition, and corruption in the Catholic Church, and dedicated to returning the Christian faith to its pristine original form. But a closer look at their lives reveals that, in truth, they were arrogant men bent on refashioning the Christian faith to their own liking. Luther posted his Ninety-Five Theses on the church door in Wittenberg on October 31, 1517. Although many of the theses dealt with ecclesiastical abuses, Luther’s contention that the pope had no authority to grant indulgences was outright heresy, and in 1520 Pope Leo X condemned it and forty other erroneous teachings. Luther’s response in the form of three treatises published late that year laid the foundations for his revolution against the Catholic Church. In these treatises he appealed to the German nobility to nationalize the Church in Germany and free it from Roman control. He also attacked the sacraments, denying that they are channels of efficacious grace when faith is absent. In the treatise he addressed specifically to Pope Leo, he denied free will; and he later called for the suppression and eradication of the Mass. 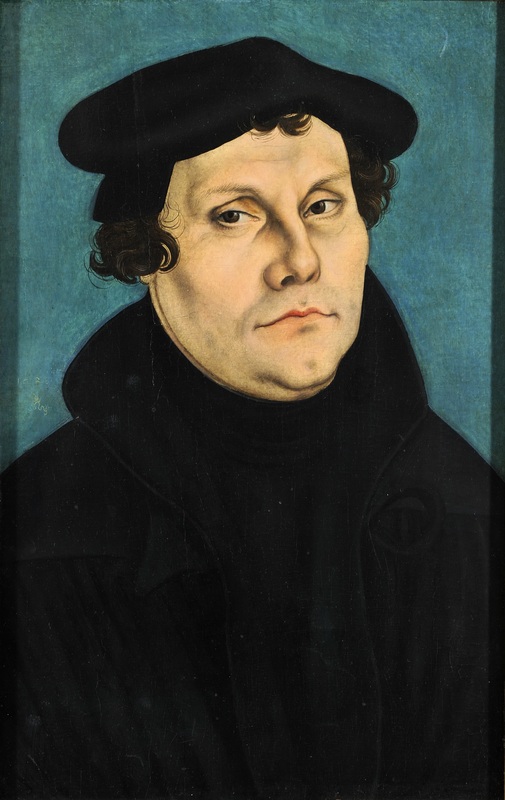 Luther’s revolutionary writings led to outbreaks of violence throughout Germany. By 1525, mobs had destroyed churches, burned sacred art, and profaned the Eucharist. Nobles sympathetic to Luther’s teachings appealed to him for help ending the violence. Toward the end of his life Luther wrote On the Jews and Their Lies, a treatise in which he put forth an eight-point plan to rid Germany of its Jews. “If we wish to wash our hands of the Jews’ blasphemy and not share in their guilt,” Luther wrote, “we have to part company with them. They must be driven from our country. We must drive them out like mad dogs.” In Luther’s last treatise before his death in February 1546, Against the Pontificate at Rome, Founded by the Devil, he called for the torture and murder of the pope and cardinals. By 1545 Calvin had created a theocracy in Geneva which enforced its own version of Christian morality upon the citizenry. Citizens were sometimes required to confess their sins in front of a civil magistrate, and were subject to biannual visitation by a commission of elders and ministers who investigated whether they attended church services regularly and lived moral lives in accord with Calvin’s creed, and classified them as “pious,” “lukewarm,” or “corrupt” in their faith. The death penalty was prescribed for adultery, blasphemy, idolatry, pregnancy out of wedlock, and striking a parent. It was also against the law in Calvinist Geneva to dance, sing (outside of church services), stage or attend theatrical plays, wear jewelry, or play cards or dice. Calvin also railed against fellow Protestants when their theology did not agree with his. The most famous case involved Michael Servetus (1511-1553), whose 1531 work Seven Books on Errors About the Trinity landed him in trouble with the Spanish Inquisition. He fled Spain for France, where he began writing letters to Calvin asking his opinion on various points of theology. Servetus disputed Calvin’s answers, as well as many of Calvin’s teachings in his Institutes of the Christian Religion. When a marked-up copy of the Institutes arrived from Servetus, Calvin became incensed and vowed, “If he [Servetus] comes [to Geneva], I will never let him depart alive.” When in 1553 Servetus did come to Geneva he was spotted by Calvin, arrested, tried for heresy, convicted, and burned. Chances are you’ve heard this story before. But it’s just a big myth, says historian Steve Weidenkopf. We recently sat down with Professor Weidenkopf to dig even deeper into this tumultuous time in the history of the Church. Q. You refer to a period that most people know of as the Protestant Reformation as the Protestant Revolution. Can you explain? A. We must recall that the history taught in our country is presented primarily through an English-Protestant perspective. That perspective presents the events of the sixteenth century in the guise of a “reformation.” This false narrative, which is extremely prevalent even among Catholics, paints the Catholic Church of the sixteenth century as an evil, oppressive, power-hungry monolith that was bent on the destruction of religious freedom. Its leaders were motivated by greed and maintained their power through the creation of superstitious practices that played on the ignorance of the masses. The heroic actions of Martin Luther and John Calvin, the false narrative maintains, freed the Christian Faith from popery and made the Scriptures accessible to all Christians. In reality, Luther and Calvin were not interested in the authentic reform of the Church but desired her complete destruction. Authentic Church reform involves the correction of abuses, the restoration of good habits, and the maintenance of the foundational aspects of the Church, such as its hierarchical structure and sacramental constitution. Any movement that seeks to destroy the Church—its organization, its sacraments, its way of life—and replace it with something new and not in conformity with apostolic tradition and history is a revolution, not a reformation. Studying the writings and lives of Luther and Calvin reveals that these men were not reformers but revolutionaries who sought the abolition of the Mass and other sacraments and the destruction of the Church’s apostolic foundations. Q. Luther seemed to be a polarizing figure. What was happening at this time and place in history that made his teachings so attractive to so many people? A. There is no doubt the Church was in need of reform in the sixteenth century. Many ecclesiastical abuses needed to be corrected, such as simony (the buying and selling of Church offices), nepotism, absenteeism (bishops not living in their dioceses), pluralism (bishops holding more than one diocese), and immoral clergy. Many within the Church urged the papacy to implement a comprehensive reform, and some popes attempted to do so. As an example, Pope Julius II called the Fifth Lateran Council to address these ecclesiastical abuses, but it completed its work only seven months before Luther’s 95 Theses, which was not enough time to implement its reform decrees throughout the Church. Additionally, the popes of the early sixteenth century, known as the “Renaissance Popes,” were more concerned with being secular princes than universal shepherds. The papacy suffered a significant loss of prestige during the fifteenth century, when the popes lived in Avignon, France, for seventy years. Their return to Rome was then marked by a forty-year schism (known as the Great Western Schism) of anti-popes. These papal problems, along with the ecclesiastical abuses, produced a sense of disunity in Christendom that was ripe for rebellion. Other factors that attracted people to Luther’s revolution included the political constitution of Germany, which was a collection of hundreds of small independent territories nominally controlled by the Holy Roman Emperor. A rising German nationalist movement contributed animosity toward Rome (primarily due to the heavy taxes inflicted upon German dioceses by the papacy). So, political and religious conditions were suitable for a revolution against the Church. Q. Do you think that reform in the Church was a resultant by-product of the Protestant Reformation/Revolution, and that some of the abuses that were pointed out resulted in reform in a positive direction? A. Another term often used to describe the actions of the Church in the middle and late sixteenth century is the “Counter-Reformation.” Again, our history is told primarily through an English-Protestant perspective, and that term clearly illustrates that viewpoint. The very words imply the Protestant movement was an authentic reform that the Church then had to “counter” with her own reform. A more appropriate term, and one favored by many Catholic historians, is the “Catholic Reformation.” The Church did reform herself, primarily through the Council of Trent, the establishment of the Society of Jesus (the Jesuits), and the pontificates of Pope Paul III and Pope St. Pius V. The Church was on the path of reform before Luther and Calvin and would have ended the rampant ecclesiastical abuses without the Protestant Revolution. But I do think it’s fair to say the actions of Luther and Calvin focused the Church’s attention on the need for reform and provided a sense of urgency. Q. The number of Protestant denominations is now very large and getting larger. Is it fair to say that the Protestant Revolution continues even today? If so, why? A. I think that’s a fair statement. The fundamental nature of Protestantism centers religious authority in the individual instead of in the Church (or, more specifically, the magisterium). The insistence on individual interpretation of the Scriptures, which is a foundational tenet of Protestantism, means there will always be competing and contrasting teachings embraced by rival groups. Q. How soon after the teachings of Luther and Calvin were formulated did other Protestant denominations begin to branch off because of doctrinal differences? A. Differences among Protestants were present at the very beginning of the movement. Both Luther and Calvin dealt with severe critics of their teachings as well as splinter groups that advocated a radical departure from the Protestant Revolution. Luther debated the Swiss revolutionary Ulrich Zwingli at the Colloquy of Marburg in 1529, only twelve years after the publication of his 95 Theses. Zwingli disagreed with Luther on the nature of the Eucharist and other teachings, and both men detested each other. The Anabaptists violently captured the city of Muenster in 1534, where they destroyed the city’s Catholic churches, established a commune, and engaged in polygamy. Based on its interpretation of Scripture, this group rejected the validity of infant baptism in opposition to the teachings of Luther and the Church. John Calvin famously ordered the execution of the Spaniard Michael Servetus, who vehemently disagreed with Calvin’s teachings contained in his book The Institutes of the Christian Religion. Protestantism is a revolutionary movement, and like most such movements in history it spawned violence, destruction, and disunity, which have greatly impacted Church and European history for the past five hundred years. Q. Besides being one of the fathers of the Reformation, is it fair to say that Luther was also the father of anti-Catholic rhetoric?